With a partner, teams will have a long list of challenges to complete for points. 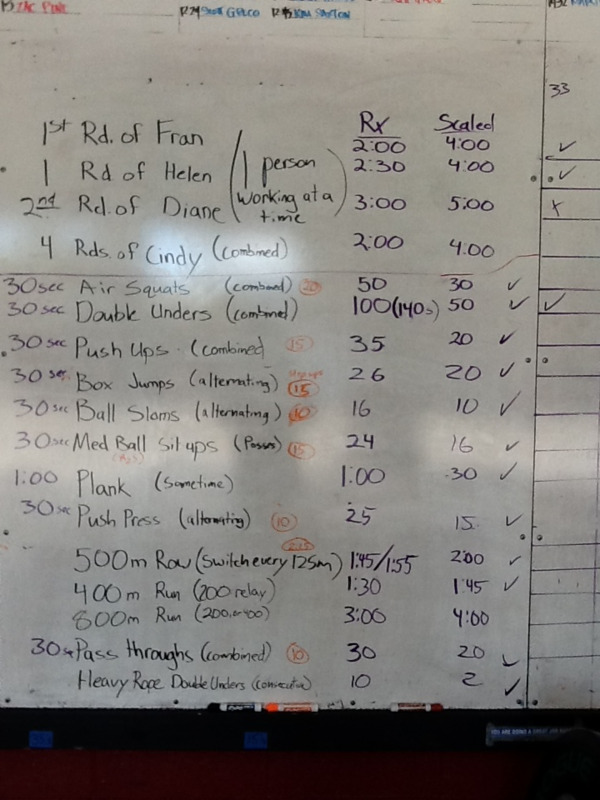 Four of the challenges are portions of named WODs (1st rd. of Fran, 1 round of Helen, 2nd round of Diane, and 4 rds. Of Cindy). They are worth 5 pts. each if finished within a set period of time and can only be attempted once. The remaining challenges are mostly 30 seconds in length and worth 2 pts. the first time completed, then 1 pt. for each additional successful attempt. See picture for the list of challenges and their associated rep goals.